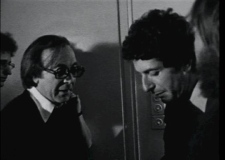 My friend, manager, and lawyer, the legendary Marty Machat ( pictured with Leonard Cohen) once told me “A songwriter should audit a publishing company every seven years to make sure that they get every penny coming to them.” Unfortunately, I didn’t listen to him. Now that it’s statement time, I’ve decided that it’s about time to take his advice. A company I should’ve paid more attention to is Rondor Music, which I ran when it was called Irving/ Almo music. Over the years since it was sold to the Universal Music Group, writers who have copyrights with the company, seem to be treated as a number in an accounting system, as opposed to the creative people they are, who made the company worth the $400,000,000 that it was sold for. I hadn’t received a writer’s statement in years, and attributed it to lack of current activity. A few months ago someone I didn’t know alerted me that my name was on a list from the California atty. General’s office that said unless they found me, $600 I had coming to me from Rondor Music would be turned over to the state. I don’t why it was so hard to find me, since I’m quite visible out here, but be that as it may I finally contacted someone named Paul Woodruff at Rondor to straighten things out. On March 17, he sent me change of address forms which I got right back to him. It’s May 14, and guess what? I still haven’t got the check! When it finally comes, I decided to use the $600 plus add a few more grand to it and audit not only Rondor, but also Warner Brothers Music (where I worked as general Professional Manager). Warners was just sold and I’ll bet they’re still holding onto monies that belong to the writers to make their bottom line look better to the investors. What I would do is send WB and Universal letters requesting proof that they represent and/or own all of your titles…..Send it through a lawyer….what will that cost….less than one hour’s work…..Hmmmm, should not be that expensive….Then wait and see what they respond with. It has been my experience that none of these companies have access to or know where any of their original contracts (with signatures) are…they have not idea what they have or where it is…If they say they have a title, ask for a copy of the signed contract, a copy of the lead sheet and a copy of the demo (without the demo or lead sheet, how can they possibly promote or publish your song..), If they can’t provide the contract, then notify them that they should no longer claim ownership of the copyright and notify BMI or ASCAP of the same. If they have the contract but no demo or Leadsheet, file against them in small claim’s court for their failure to provide the services they agreed to provide and request that they return the copyright,as failure to promote it is contrary to the job the publisher promised to provide and effectually is “damaging the value of your copyright”……Then and ask the court to force the publisher to return the songs before and any further irreputable damage can occur. The odds are that rather than deal with you or court they will return the song or at least give you some documentation that will allow BMI and ASCAP to no longer recognize them as the publisher and you can then designate a new publishers……This has happened to me a number of times and I have successfully obtained copyrights out of public corporations through these methods. Craig is absolutely correct and don’t forget the 1976 35 year reversionary copyright law either. I you were not provided with work for hire conditions, which are pretty specific (unless you’re writing for a film or TV show, or Saban);and signed a life of copyright work for hire agreement, you get your copyrights back and all royalties a company may have collected prior to your 35 years is up mate, and I am off to greener pastures and a better service! Great advice-do you know of a show biz accountant in LA who could audit Warner Brothers for Richie Adams and myself -we have some major copyrights there and have never audited them. I’m looking into it and will have some suggestions next week! Franca Cavarricci is an excellent business manager and accountant and I’d highly recommend her, and I do not do that often. She can be reached at 212 388 0301. She’s as honest as the sun comes up and incredibly thorough. She used to audit Chrysalis. Her email is Franca Cavaricci ; And she’s not a stuffy business suit, she’s a really caring woman. Thanks Jay…Don Williams just called me and told me the same thing! Having problems subsribing to your word press blogs, which I would really love to blog on!! But it’s like it’s telling me I don’t exist, and perhaps I am a figment of my own imagination. And if so, I could imagine that everyone is really kind to each other every day and even better that record and music publishers paid all royalties due! Artie my advice is to audit record companies and publishing companies twice a years if you have his with them and make sure this is in your contacts with them. Since Michael Jackson died almost 2 years, I’ve received less than $1000 in mechanical income for two songs I co-wrote, “LITTLE CHRISTMAS TREE” (Clinton Jr./ Wayne) and “TOUCH THE ONE YOU LOVE” (Clinton Jr./ Wayne) even though they were included in FIVE posthumous Michael Jackson collections. Needless to say the results of my audit will be interesting to say the least! Are you saying this type of matter can be contested in small claims Court rather than Federal District Court where Copyright Infringement claims usually get heard? I just want to be sure of my venue…. « BIN LADEN IS GONE! “HALLELUJAH!